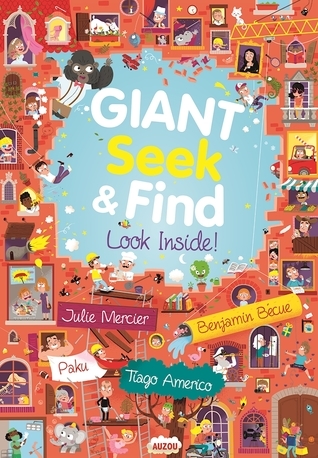 Giant Seek and Find: Look Inside! will amaze children thanks to its size and its very detailed, fun illustrations. Young readers will have their curiosity satisfied with these incredible cross-sections of every building they can think of! With nine different scenes, ten recurring characters, and fifty elements to seek and find in each scene, get ready for hours of fun!